Off the coast of Istanbul, the Jewish billionaire Yusuf Elmas, who once challenged the State's denial of the Armenian Genocide, has been killed in a harrowing boating accident. Five years later, his estranged brother, Avram, returns to the city to search out the truth behind his brother's suspicious death. Living in his brother's crumbling island mansion, befriending his enigmatic staff, Avram steadily unearths deeper layers of the tragedy. Yet the more his actions echo his brother's fraught experience, the more dangerous the exercise of digging up another person's history becomes. Through the lens of Avram's discoveries, Isles of the Blind explores the overlapping heritage of Jews and Armenians in a rapidly changing Muslim society. How should a man define himself, and towards what personal, religious and national obligations should our loyalties bend? 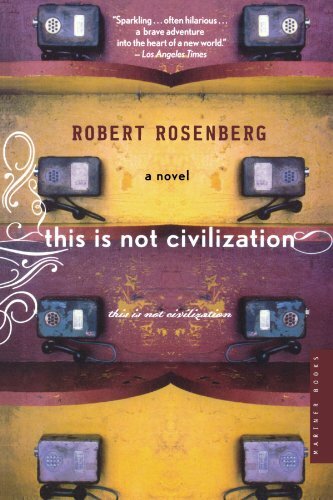 In the tradition of Prague and White Teeth, This Is Not Civilization is an inspired, sweeping debut novel that hopscotches from Arizona to Central Asia to Istanbul with a well-meaning, if misguided, young Peace Corps volunteer. Jeff Hartig lies at the center of this modern take on the American-abroad tale, which brings together four people from vastly different backgrounds, each struggling with the push and pull of home. A young Apache, Adam Dale, forsakes the reservation for the promise of a world he knows little about. Anarbek Tashtanaliev, of post-Soviet Kyrgyzstan, operates a cheese factory that no longer produces cheese. Nazira, his daughter, strains against the confines of their village’s age-old traditions. 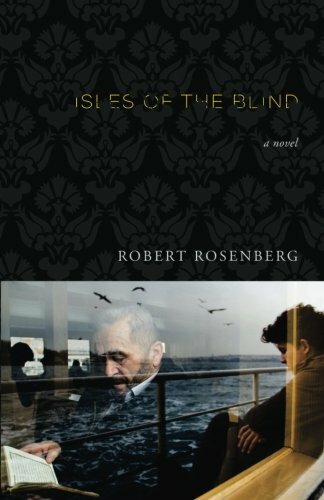 With captivating insight, realism, and humor, Robert Rosenberg delivers a sensitive story about the cost of trying to do good in the world.